Research on Optimization of Mechanical Smoke Exhaust System with Multiple Smoke Compartments ZHU Jun-liang;China Railway Liuyuan Group Co. Application of Two-stage Compressed Air Source Heat Pump in Rural Coal to Electricity Project ZHANG Chun-lin;CHENG Gang;QIAN Zhi-bo;China Machinery TDI Intemational Engineering Co. Application Research on Comprehensive Energy Saving Reconstruction Technology of Commercial Buildings in Shanghai QU Yan;East China Architectural Design & Research Institute Co.
HVAC Design and Analysis on Large General Hospital Buildings DING Xue-gui;HE De-jun;YIN Cheng-gang;Hunan Architectural Design Institute Co. 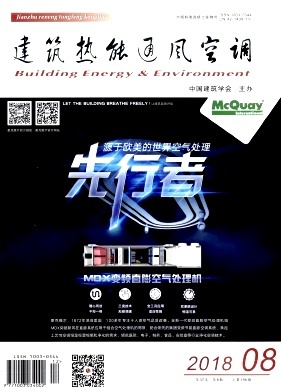 Discussion of Air Conditioning System for Data Center ZENG wei;A+E Design Co. Discussion on Ventilation Design of a Large Kitchen in a Spa Hotel FAN Xiang-guo;ZHANG Wang-da;Zhongxu Planning & Architecture Design Co. Discussion on Design of Smoke Exhaust System in Atrium of Shoppin Mall ZHU Yong-zhi;China Architecture Design Institute Co.
Purification of Air Quality(PM2.5) in Office Buildings SUN Chang-wei;ZHAN Li-yong;REN Zong-lai;YANG Jun-jie;CHENG Gang;QIAN Zhi-bo;State Grid Zhongxing Co.